To be honest, when I received this book I thought, “Oh, no! Not another book about the Amish! 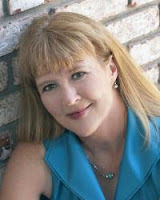 Don’t Christian fiction authors write about anything else?” The thing is, I have to admit right up front, this was an excellent book. The Letters, by Suzanne Woods Fisher, is book one in the series The Inn at Eagle Hill. I look forward to book two. 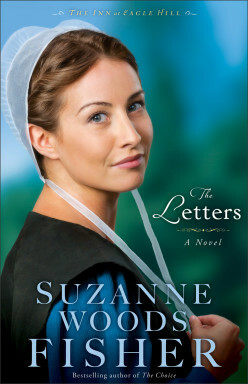 This very good read, has me thinking about why Amish fiction is so popular right now. The obvious reason is that we have such busy, complicated lives that living simply has a huge appeal. No big energy bills, tasty, fresh, home -grown food – it sounds wonderful. Not having to worry about staying current in fashion trends, having children who play outside and feed animals, and having horses also sound like a nice addition to a lifestyle. However, I believe the close-knit community is also a big part of the charm. Many of us have a longing for something different – something less complicated – a tight, caring community rather than 532 friends on Facebook. Fisher portrays a group of people that have a caring community where people watch out for each other. Fisher’s skill as a writer comes through with her characterization. With each chapter that goes by, I felt that I was becoming acquainted with each character. The characters are quirky, interesting, and likeable – that is with the possible exception of Mammi Vera. Rose Schrock, the protagonist, is a widow responsible for raising and providing for four children, plus caring for her sickly mother-in-law, Mammi Vera. Think of the worst mother-in-law stories you can and Mammi Vera can top them. Rose handles it all with a graceful presence and exhibits extreme patience. Rose also has interesting children. The characters add a richness to the story. I highly recommend this book. I think it stands out in the genre of Amish fiction. I received this book from the publisher in return for a review. All opinions expressed are my own.